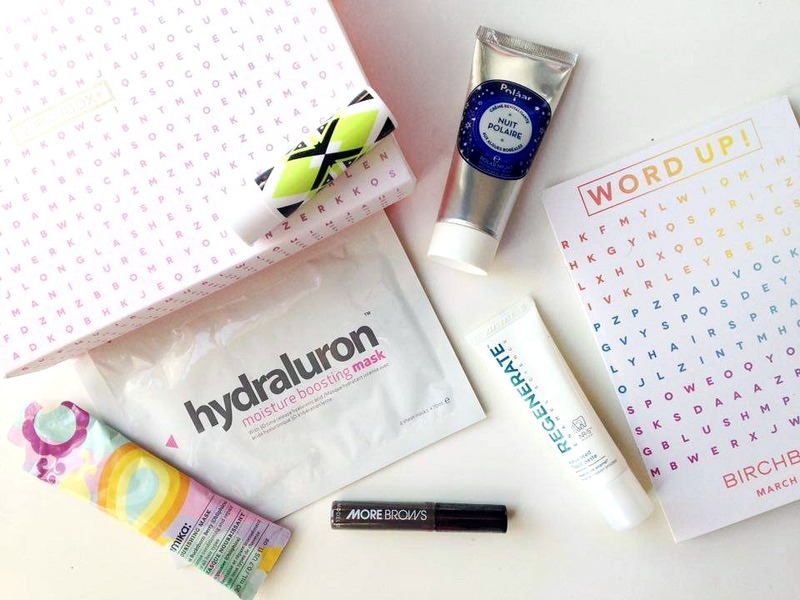 It's my second month with Birchbox and let me just say, I'm impressed. My box was here before I realised it was a new month and there's a few things I can't wait to try out, I really love what's inside this months box, although there are a lot of samples this month they're not stingy with how much they give you so you can properly try out the product(s) before deciding weather to buy it or not! 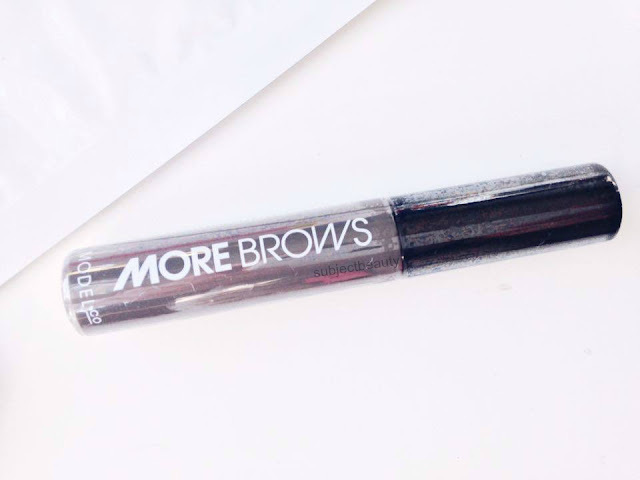 I was most excited about Model Co More Brows - Medium/Dark RRP £13 (Full Size) as I've been loving everything brows lately and I have heard and seen so many people raving and using this so I hope it lives up to the expectations, I'll let you know! The next product I can't wait to use is Arrow Boost Color Enhancing Lip Balm (Full Size) RRP - £13 which is a new paraben-free, cruelty free, vegan brand from Birchbox. 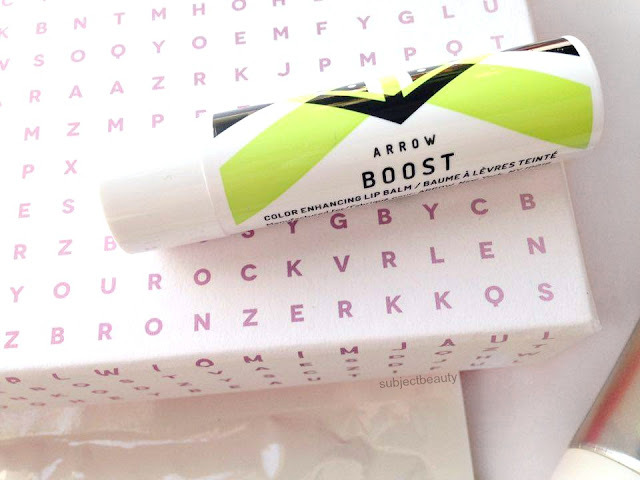 I love the design of this balm, and it's very sturdy I know the lids not going to fall off when it's jiggling around in my handbag all day and it's protects lips and adjusts to your pH! 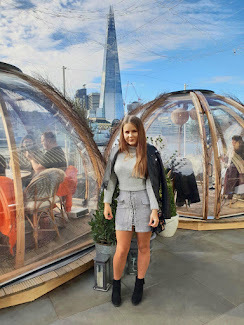 I'm a fan of anything skincare, me and my skin are in a constant battle and so anything that helps regain peace within my skin is good enough for me so I love receiving skin care products to try out, the only downside is my skin is super sensitive so anything that irritates it is a big NO NO for me. I received a sample size Polaar Night Cream (Sample Size) Full Size - RRP £32 which works while you sleep! 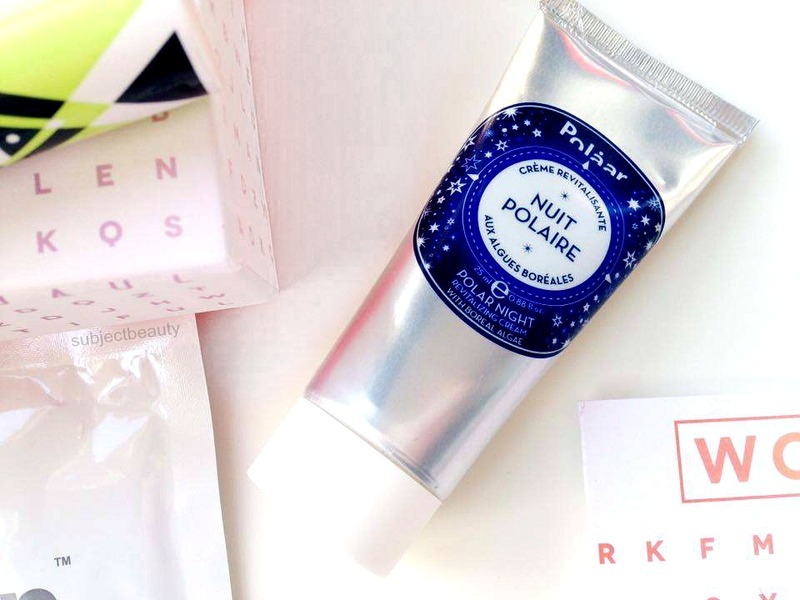 (well yeah, it's night cream) Skincare and sleep, it's the perfect combination. I haven't got round to using this yet but I'm definitely going to try it out. My skin has been so thirsty for moisture since Autumn and so I was happy to find a Hydraluron Moisture Boosting Mask (Sample Size) Full Size - RRP £19.99 to hopefully quench the thirst ready for Spring! I love masks too as it's not so messy. As well as my skin my hair is also quite dry at the moment too (I can't deny that it needs a good cut) but apart from a ton of conditioner and some heat protect spray I don't really treat my hair that much and I never really considered hair masks but I received a sample size Amika Nourishing Mask (Sample Size) Full Size - RRP £19.99 which intends to seal split ends and fight dryness, I think you replace this product for conditioner, can't wait to give it a go! Lastly, I received a rather strange product well not strange just something I wouldn't have expected to find in a beauty box which was Regenerate Enamel Science Advanced Toothpaste (Sample Size) Full Size - RRP £10 but when it comes to toothpaste you can never try and test enough and it's something we're always picking up so I'm looking forward to trying this! It also claims to boost whiteness, and as it's sample size so it's perfect for travelling with! Interested to see how that brow product gets on with you!